At Kol Chai we aim to make our services as inclusive as possible. they are not obliged to. Children are welcome at all of our services. 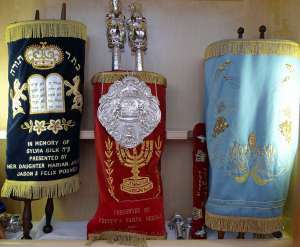 mitzvah. The choir is always happy to welcome new members. We look forward to seeing you at our services and welcoming you to Kol Chai. • 1st Friday – The first Friday of every month, except for August, the Shabbat service is held in a member’s home. The member’s name hosting the Friday night is published in the Kol Chai Diary and the address is available from the Kol Chai office. The service starts at 7pm. • The other Friday Night services are held at the Synagogue, where there is a short study session, starting at 6.45pm followed by the Shabbat service at 7.pm. If there is a 5th Friday in the month, we sometimes hold an Oneg Shabbat, which is a ‘Chavurah style’ meal. Participants should bring a main course and/or dessert or salad for sharing with others. All food should be meat-free (fish, dairy, and vegetarian are all acceptable). Please check before coming that the Oneg has been advertised in the Kol Chai Diary, weekly email or the website calendar. 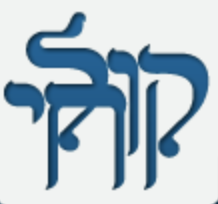 Shabbat services begin at 10.30 am. led by Rabbi Hilton, at 9.15 am. A light breakfast is provided.